Tickera has gone through a number of huge changes and except being an event ticketing system, Tickera has almost nothing else to do with the initial release reviewed couple of years ago. It’s a whole new plugin! If you are starting fresh and installing Tickera for the first time, you will be welcomed with the nice installation wizard that will help you run through the initial setup to get you going as quickly as possible. During the setup, you will be asked whether you would like to run Tickera as a standalone or accompanied by WooCommerce which then requires Bridge for WooCommerce add-on. Yes, you read it right – Tickera has been fully compatible with WooCommerce for a while now which enables you to sell Tickera tickets as any other WooCommerce product. 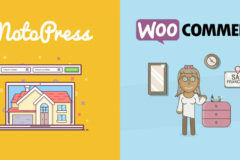 As you know WooCommerce is one of the best ways to build an online store with WordPress, and with Tickera you keep all of the additional functionality WooCommerce has to offer in terms of e-commerce features. Quite convenient if you are already running WooCommerce and are selling other items on your website. Creating events is quite easy and straightforward with a little bit of logically organized information required for you to enter regarding your event. And once you finish creating your event, you will be suggested to create ticket types associated to your event which is also a breeze with plenty of well organized options. …and you can do that as many times as you want – meaning that you can have as many events with as many ticket types associated to them as you like. No limits whatsoever! Once you’re done with the easy job of creating event and ticket types, it’s time for even easier job of placing an appropriate shortcodes to any of your pages or posts to display any information about your event and/or tickets. We’re saying “easier” since there is a neat little “shortcode builder” that will create a shortcode for you based on your selection and options. However, even without placing shortcodes through shortcode builder you can still have all it takes to sell your tickets as event page offers neat feature to display tickets associated to that event automatically. And the best thing is that Tickera will play nice with virtually any well-coded WordPress theme out there and pick up a style to blend in flawlessly to your website (maybe give the free WordPress themes from WPExplorer). Now, to start selling anything, you will need a merchant account for some of Tickera supported payment gateways. And there is plenty to select from as Tickera itself currently directly supports more than a hundred payment gateways so wherever you are on the planet, there is a slim chance that you won’t be able to find at least a couple of supported payment gateways available in your country. And even if that happens and none of the supported payment gateways are available in your country, do not fall to despair and check whether a payment gateway you would like to use is supported by WooCommerce since Tickera is fully compatible with it. Regardless of whether you are using Tickera as a standalone or you are using WooCommerce as a selling platform for Tickera tickets, you can make use of the awesome Custom Forms add-on. This add-on will allow you to create custom checkout forms any way you like it and collect all sorts of extra information about your attendees with radio buttons, checkboxes, text areas, text inputs and dropdown menus at your disposal to arrange them any way you like. And to top it all off, all of that information can be placed to the ticket template through the corresponding ticket template elements and can be exported via CSV export add-on with all the rest of the data if you decide so. So you have sold out all the tickets for your event. What’s next? Apparently, you will need to scan those tickets at the door. Tickera’s iOS and Android apps have proven as reliable on the field but in addition to that, they have gone a step further and created Barcode Reader add-on that will allow placing barcodes (as well as QR codes) on your tickets and scanning by using any standard barcode scanner from the back end of your website. However, if you do not feel comfortable allowing other people access to the back end, you can use their fantastic Check-in Chrome Desktop app. Being a Chrome application it is cross-platform ready meaning that you can run it basically anywhere you can install Google Chrome browser. Also, with this app you can scan tickets offline which is a very welcomed feature given that not every event is organized in the area with good internet coverage and sometimes it is missing completely. Serial Ticket Codes creates arbitrary sequential ticket numbers with custom prefix, number padding, suffix, etc. Tickera is a great option for adding events to WordPress and selling your own events tickets. Hopefully this overview gave you a good look at what this awesome plugin can do. Have you tried the new Tickera? Or maybe you have some questions about it? Let us know in the comments below – we’d love to hear from you! Great Review. I use the plugin for several months and I’m super happy with it. It’s pretty incredible what you can do with WordPress and just one plugin. Wrote this on the old (accurate!) review – but realized this is a new one. Copied over here – hope it goes up! I’m sorry to hear that 🙁 When I tested the plugin on my local site with events I didn’t run into any problems, but admittedly I didn’t try making any monetary charges (I was using the free tickets option in my test which worked fabulously). For support it’s best to check-in with the developers, this could just be a simple miscommunication. Sometimes it can take up to 7-10 business days for some companies to get back to you, so if you don’t see an answer right away don’t worry – there are probably other tickets before yours in the queue. Also make sure to double check your spam folder in your email if support is via a ticketing site. I know here at WPExplorer we’ve had a surprising number of customers think that we’d been ignoring them when really they’d marked us as spam (oops!). Tickera is a small group of people who love what they do so we cannot just let people go around and spread a bad word about us, especially if it is not true. So, based on the database on our support platform, all of your tickets were replied within the reasonable timeframe of 24 hours. Now, it is pretty common practice to merge multiple support tickets posted by the same requester that matter the same thing which we did here and that is the reason why some of the tickets you have submitted were closed. However, the rest of the tickets were clearly replied to. In regards to the issues you were complaining about, first you have requested a refund based on the request for the feature that is nowhere advertised on our website (event list view and calendar view within our Event Calendar add-on) which we refused to issue but offered a plausible workaround by using third party plugin. Right after, you have complained that Tickera is not working at all and it is rather curious why of the complete plugin packed in .zip file and needed just to upload and install like any other plugin, you have placed only tickera.php file and expected it to work. Our support agent noticed that once he logged in to your website via FTP and pointed that out in his reply after which you haven’t responded. Next, you inquired about using Mijireh payment gateway with Tickera in “bridge mode” accompanied by WooCommerce via our Bridge for WooCommerce. In that case WooCommerce completely takes over the ticket selling part so using payment gateways integrated to Tickera is becoming obsolete while payment gateways supported by WooCommerce should be employed instead. We advised you that and again offered a solution which plugin exactly you should install in order to use Mijireh with WooCommerce. Instead of cooperating with us, you have decided to spam our Facebook page and post replies with language far from common decency to say at least. However, as you are still our customer, we still want to help you to install and start running Tickera as seamless as possible but for that to work, we will need a bit more cooperative spirit from you. Each and every day we give our best to improve our system and we listen to our customers very carefully. Thousands of our satisfied customers stand as the best testimonial to that. Yes, we do make mistakes, but also learn a lot from them and try to keep Tickera on the right path and given that the number of our customers grew tremendously from our beginnings few years ago until now, we believe that we are doing quite a decent job and we will continue to do so. Surely enough, this in no way is a place to argue nor we wish to continue doing so and therefore we suggest you to submit a support ticket to support.tickera.com in order for us to be able to help you out. Great Review !! It’s an amazing plugin! Great review and awesome plugin! We’re using this one for 3 events and it works like a charm. The best part is the desktop app because it could work offline which is our main requirement because we host events in the forest where we don’t have internet signal. Ive tried to use this plugin. Unfortunately, it does not fit for my needs, but they are really special. It does look great, but there is one single feature missing for me and my extensions. Nothing to blame Tickera for. The plugin looks solid and might be the best Ticketing-Plugin on the market. First i had some problems with the support, but in the end they managed it to make me an happy customer. Exactly the way you should treat a buyer. Good Job! Thanks a lot and keep up the work. When the WooCommerceBookings connection will be build in future maybe, ill look forward to get it. Keep it up & thanks a lot!